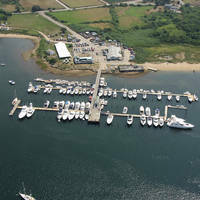 Mystic Harbor is located off Fishers Island Sound and is one of the most popular boating centers in Connecticut. 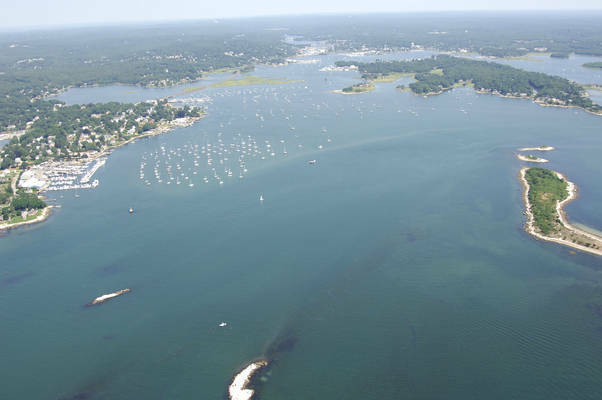 With a wide array of marine services, thousands of moorings and a setting that is relatively well-protected, the town of Mystic, Mystic Harbor, and the Mystic River fill up quickly in season. This is the home of the Mystic Seaport museum, a popular attraction. Inside Mystic Harbor and the Mystic River are no less than 15 marinas and 10 of them have facilities available for transient guests. Also popular in Mystic are the acres of moorings that cover the water and get gobbled up by visiting boaters with amazing speed. Like any popular boating center, youd be well served to call ahead and arrange your spot for the evening in advance, or arrive early to the first-come first served moorings. There are spots for anchoring about, but most of them are not conveniently located close to town. Mystic Harbor is approached form the south via Fishers Island Sound between Ram Island Shoal and Morgan Point in the town of Noank. The start of the approach into Mystic Harbor from Fishers Island Sound is marked by green can 1 about a mile southwest of Swimming Rock. From here, head north toward red nun 2 and green can 3 marking Planet and Swimming rocks, respectively. 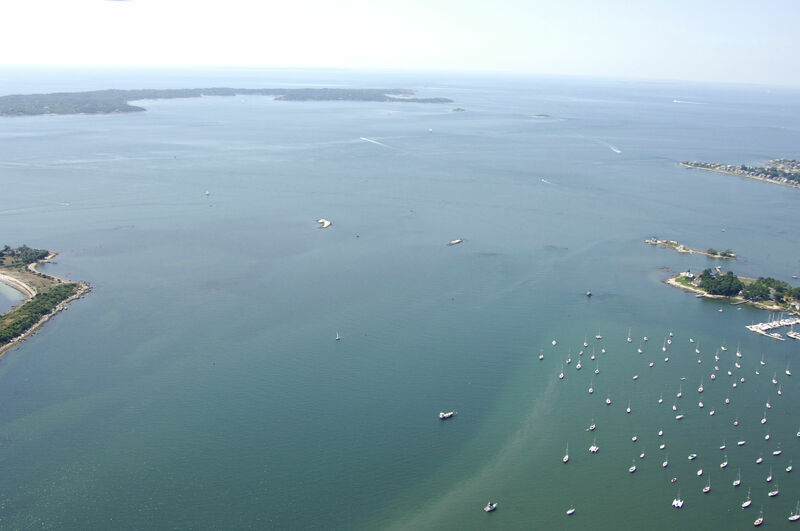 The rest of the channel up to the town of Mystic hugs the west shore of Mystic Harbor for about a mile, and then it bends back to the east at Mason Island. Picking up from red nun 2 and green can 3, plot a course for quick flashing red buoy 4, and note on the chart that this is a rocky area that requires your attention. Next head toward quick flashing green 5 at the start of the narrow entrance channel to Mystic, and then follow red nuns 6 through 20 until you reach green can 19 at the eastward bend south of Sixpenny Island. Green can 21, red nun 22, green can 23 and red nun 24 complete the turn between Sixpenny and Mason islands. The cruise into Mystic from here is simple and easy; just follow the well placed string of buoys up to the town of Mystic at the Mystic Swing Bridge (eight-foot closed vertical clearance, opens at :40 past the hour from 7:15 a.m. To 7:15 p.m. And on demand at all other times). 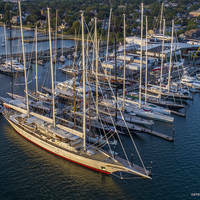 In addition to an extensive field of hefty moorings, Mystic has over 14 marinas in the harbor and up beyond the Mystic Swing Bridge. All but five of these marinas cater to transient guests, and several of them have haul-out facilities and fuels. Mystic is an excellent town for historic and seafaring exploration and is the location of the Mystic Seaport Museum, the towns biggest draw. No reviews yet! Be the first to write a review of Mystic Harbor Inlet.